With gas at record highs, buyers stay away from SUV and pickup models, hitting May sales at GM, Ford and Toyota. NEW YORK (CNNMoney.com) -- U.S. auto sales tumbled in May as buyers fled from pickups and sport utility vehicles in the face of average gas prices that are now just shy of $4 a gallon. The trouble hit not only U.S. automakers General Motors (GM, Fortune 500), Ford Motor and Chrysler LLC -- which have long depended on sales of pickups and SUVs -- but also trimmed the sales of their top Japanese rival Toyota Motor (TM). But other Asian automakers held up reasonably well. Nissan (NSANY) reported a narrow sales gain while Honda Motor (HMC) and Kia rode American buyers' new interest in fuel economy cars to post record sales in the month. In fact, Honda passed Chrysler in U.S. sales for the first time. What's more, the Honda Civic beat out the Ford F Series pickup to become the nation's best selling vehicle for the first time on record as well. The Toyota Camry also topped F Series sales in the month. GM reported that overall sales plunged 27.5% in the month, far worse than the 19% drop forecast by sales tracker Edmunds.com. The declines were led by the 37% tumble in the sales of light trucks, such as pickups and SUVs. But even sales of cars fell 14% during the month. 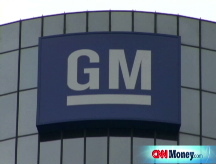 GM was hit not only by rising fuel prices and the downturn in the U.S. economy, however. It was also hurt by a series of strikes that hit production of some of its hotter vehicles, including the Malibu sedan and a series of some of its popular crossover vehicles. GM said it believed it lost between 15,000 and 18,000 vehicle sales because of the labor problems, about 6% to 7% of its reported sales. "We're very pleased this is behind us," said Mike DiGiovanni, GM's chief forecaster. He said that GM maintained 20% of total U.S. retail sales in the month, which he termed remarkable given the combination of labor disruptions, oil prices and a weak economy. The rapid shift in buyer preference caused GM, the nation's No. 1 automaker, to announce earlier Tuesday that it planned to close four North American truck plants as it tried to shift production to more fuel-efficient vehicles. Mark LaNeve, GM's vice president of North American sales, admitted that his earlier prediction of a recovery in auto sales in the second quarter were clearly wrong. But he said GM is still hopeful this is close to the bottom in the market and that sales will firm up in the second half of this year. "Either way, we're working through it and taking prudent action," LaNeve said. Chrysler LLC, the privately-held automaker that was purchased by Cerberus Capital Management last year, saw sales fall 25%. The company, which had long held the title of No. 3 U.S. automaker through 2005, fell to fifth place in sales as it was passed by Honda. Toyota is number two and Ford is the third largest in U.S. auto sales. Chrysler, which has been offering buyers a chance to lock in $2.99 gas prices as part of their purchase, said much of the decline was due to a unusually high 40% cut in monthly fleet sales to businesses such as car rental companies. The company also said that car sales fell at a higher rate than light truck sales. Still, that appeared to be the exception rather than the rule in May. Industrywide, the trend was clear -- Americans were more serious about fuel economy than at any time in the past. "We've never seen this big of a change in the product mix, this fast," said Jesse Toprak, chief industry analyst for Edmunds. "Certainly five to ten years from now, you're going to look back and say the spring of '08 was the turning point. Even if gas prices go down for a month or two, consumers are not going to rush back out and buy SUVs. This appears to be a permanent shift," Toprak added. Ford reported that overall U.S. sales were down 16 percent, even worse than the forecast of a 9% drop from Edmunds.com. Sales of light truck models, such as SUVs, pickups and vans, tumbled more than 25%. Ford (F, Fortune 500) had warned of its own sales problems last month when it announced it was cutting light truck production and looking at closing some additional plants. Ford CEO Alan Mulally said at that time that fuel prices had caused a "tipping point" that had permanently changed buyer's preferences and would cause losses in its North American auto unit to continue through next year. Ford posted a narrow 3% gain in the sales of car models, as models such as the Fusion and Focus soared. Retail sales of the Focus more than doubled. "Our products and our dealers are getting us back in the car business," said a statement from Jim Farley, Ford group vice president of marketing. "We're only just beginning." And Toyota said that sales of its car models were essentially flat in the quarter. But Toprak said even the strong car sales are not necessarily good news for Ford or other U.S. automakers. "The change in product mix is a huge issue," he said. "They might be talking up their car sales, but the thing that they're not mentioning is how they're going to make money with the small cars. They're lucky if they're breaking even." To that end, sales of some of the vehicles that Ford has depended most on for profits fell particularly sharply. The F-Series pickup had sales plunge just over 30%, while the Explorer, the midsize SUV that once was the nation's best-selling utility, tumbled 41%. Ford responded to the weak pickup sales by announcing it was bringing back its "employee pricing" offer on the F Series through June. Similar "employee pricing" programs by Detroit's Big Three in 2006 resulted in strong summer sales that year. Toyota reported a 4% drop in combined sales of its Toyota and luxury Lexus brands. Edmunds was forecasting a 3% decline. Sales of light trucks fell 12%, while its car sales were flat. Toyota introduced the Tundra, its first full-size pickup offering a year ago. Tundra sales fell by nearly a third in May. But Toyota had enough fuel efficient vehicles, such as the sub-compact Yaris, to limit its overall sales decline. Surprisingly, the Toyota Prius, the fuel efficient hybrid car, actually saw sales tumble 37% from year ago levels. But it appears the reason for this is that buyers were not able to find one as many dealers sold out of existing Prius inventory. "The Prius is as hot as any vehicle I've ever seen in the business," said Mike Maroone, president of AutoNation (AN, Fortune 500), the No. 1 dealership for all the major automakers. "People are looking at fuel economy and environment in different terms than they have in the past." Maroone said that in addition to rising fuel prices, general economic worries such as higher unemployment and tighter credit are squeezing auto sales. "There's a lot of pent-up demand out there. Our Internet and phone traffic are up. But I think there's a lack of consumer confidence," he said. Overall, Edmunds forecasts that overall U.S. sales fell 7% in the month, with other experts predicting the worst May sales in 20 years.